The check engine light usually comes with a sinking feeling at the bottom of your stomach. Check engine light is indicated by a yellow light on your dashboard in the shape of an engine. The wording below the warning light may vary from vehicle to another but the shape is basically the same. Check engine light is also referred to as Malfunction Indicator Light or MIL. This light does not necessarily mean that you should pull over and call a tow truck immediately. 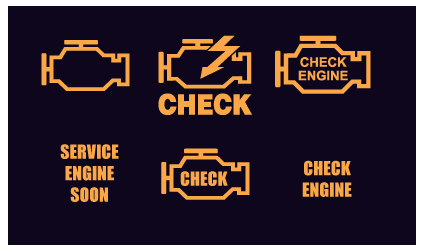 It does mean, however, that your engine needs to be checked as soon as possible. Ignoring this light could cost you much more than it would have if you addressed it sooner. The sooner you get your vehicle checked the better. So, what is the engine check light and what does it really mean for your vehicle? Most cars manufactured after the 1980’s have most of their functions controlled by computers. The car’s onboard computer is known as the ECU. It controls and regulates such functions as ignition timing, fuel mixture, engine speed and transmission time in automatic vehicles. The onboard computer can also perform vehicle diagnostics. Therefore, when the ECU meets a problem in the engine that it cannot correct, it turns on the check engine light. In all vehicles, a picture of an engine is present. Some have words such as “check”, “check powertrain” or “service engine soon”. This is the cause of the engine check warning light coming on. Additionally, the ECU knows the exact nature of engine trouble that your car is facing. It stores this problem in its memory in the form of trouble code. This code identifies the exact nature of the problem. This makes it easier for you or the mechanic to remedy the problem. Your check engine warning light normally lights up when your Oxygen sensor requires replacing. The oxygen sensor is in charge of measuring the amount of unburned oxygen contained in the exhaust system of your vehicle. When the Oxygen sensor is not working at full capacity, your vehicle will generally consume more fuel than normal. You will lose up to 40% of your fuel economy which is a great cost. More damage could happen in your engine as spark plugs and the catalytic converter could get badly damaged as a result of the damaged Oxygen sensor. This is one of the most obvious and simpler causes of an engine check warning light. The gas cap seals the fuel tank thus helping to maintain the right pressure in your fuel system. This seal also helps to prevent the vapor from your fuel from escaping into the air. Petrol evaporates quite easily if left in the open. A loose gas cap could cost you plenty in terms of fuel economy. You will make more trips to the gas station meaning you spend more money. A filler cap could be loose after a fill up in the gas station. All you need to do is screw it tight. If it is damaged, buying a new one is cheap and could save you a lot of money in the long run. Certain regulations were passed regarding the levels of emissions that a vehicle is supposed to give. The catalytic converter is a device that makes sure the vehicles adhere to these set standards. It converts the harmful carbon monoxide that cars emit into carbon dioxide. When this component in a car is damaged the ECU will respond by clicking on the check engine warning light. Neglected maintenance of this component is the main cause of damage. 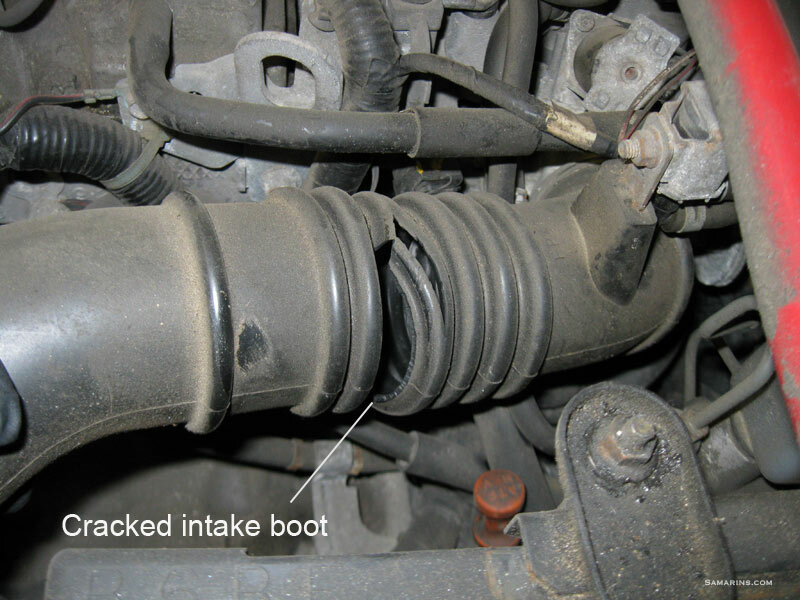 A damaged catalytic converter will make your car run at reduced speed and fuel economy. Your vehicle may also fail to pass an emissions test costing you a lot of money in fines. The Mass Airflow Sensor is a device that measures and regulates the amount of air entering your engine. This helps to determine the amount of fuel required by the engine. If this component is at fault, it could lead to damaged spark plugs and catalytic converters. You also get highly reduced fuel economy. Spark plugs are in charge of creating the spark that ignites the air-fuel mixture. If the spark plug is worn out, you will experience reduced engine performance. It could also damage other engine components. Because cars have an onboard computer that can perform a self-diagnosis, all you need is the results. As mentioned before, the computer stores the information about the fault in the form of an error code. There are vehicle diagnostic tools that can read these error codes. Some of these devices read the code and decipher its meaning. For those that don’t, the user has to resort to google for answers. Knowing the nature of the problem is the first step towards solving it. Most mechanics have these tools. The average charge for a scan is about $90. The scan takes only a few minutes. However, you could purchase one of these tools for yourself. Some are cheap while more comprehensive tools are costly. Either way, they are great tools to diagnose your check engine light. The car is designed to distinguish between a more urgent check engine light and a less urgent one. It the problem requires urgent attention, your check engine light will either glow red or blink. If you see this, rush to the nearest mechanic as your car could be in serious danger. On some vehicles, the red check engine light means you stop the car immediately. A constant check engine light illumination signals a problem that is not as urgent as a blinking light. However, you should still take your car to the mechanic as soon as possible. On some vehicles, a constant yellow check engine light indicates that you investigate the issue. The thing with the engine check warning light is, if you ignore it, it will end up costing you much more. First, you should check your dashboard for other warning lights. These could give you a hint as to what is causing your check engine light to flick on. Secondly, try to tighten your gas cap as this quick fix could be the whole issue. If you notice a reduction in the performance of your car, reduce your speed and load. If you are towing a trailer it would be best to release it. Reducing engine demands could prevent more expensive engine damage.